These words ring true anytime you enjoy the great outdoors. The mountains, trees, flowers, birds, bees, rivers, oceans, and all of nature is a manifestation of God’s work. So, when planning a spiritual or church retreat, it makes sense to do it somewhere the group can easily connect with nature and God’s presence. This paradise haven on the Gulf Coast exemplifies purity. 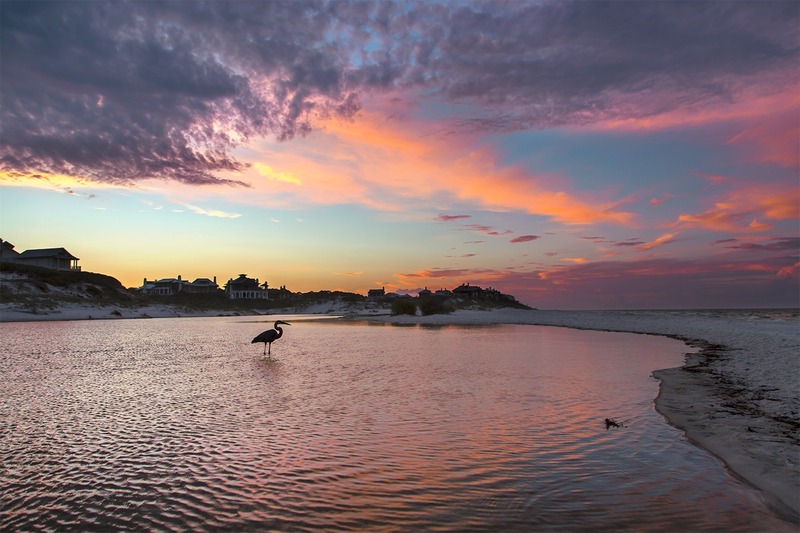 With its crystal white beaches, emerald green waves, and salty coastal air, Destin is a place to “experience the majesty of God’s work in the magnificent masterpiece He created with nature” (Church on the Beach in Destin and South Walton). This oasis is characterized by spectacular blue skies, sunrises, and sunsets. The sounds of seagulls and the ocean waves soothe the soul. The vast views of the ocean serve as a reminder of God’s amazing creation. This peaceful beauty of Destin’s natural surroundings allows you to feel nearer to God, making it a perfect place for a spiritual retreat. 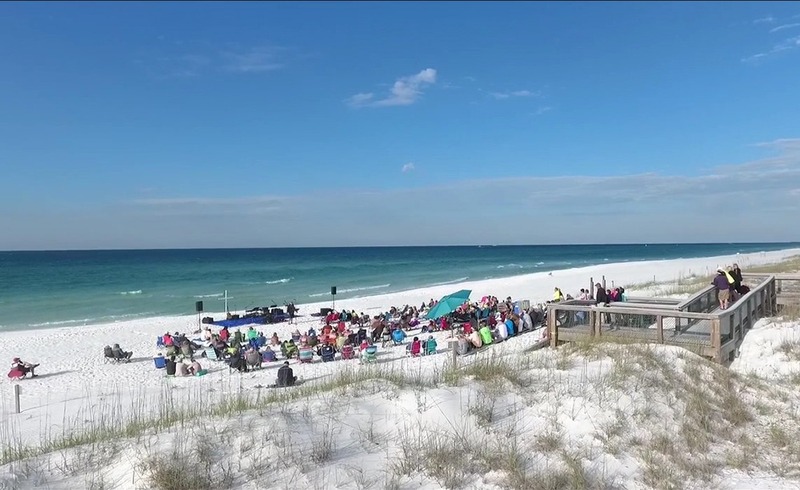 In addition to connecting with the natural beauty of this heaven on earth, a number of casual Sunday worship services are offered by the many churches in Destin and the surrounding area. Churches like the Destin United Methodist Church even have services right on the beach! Join the locals in worship, and your group will feel immediately welcomed and fellowshipped by the congregation. Worshiping with others and making new friends that share a love of the Father is always an unforgettable experience. Service opportunities available in Destin also make this a great place for a church retreat. Serving God’s children is a special way to feel closer to Him. Your group could choose to work with a local congregation, like the Hope Lutheran Church, to provide services for the Food Pantry, Shelter House Center, or other organizations. Or, reach out to the many service organizations for opportunities for your group to help those who need it most. A trip that is focused on service is sure to be one to remember! Now that you have discovered that Destin is the perfect place for your next church retreat, it is time to plan your spiritual excursion. The article “How to Plan a Destin Church Retreat” highlights the important aspects to planning your retreat – from getting the key church leaders involved to creating an itinerary to booking a place to stay. Remember, it is important to begin the preparations for your church retreat months in advance to allow yourself a sufficient amount of time to take care of all the necessities. Booking your stay can be made even easier by working with Ocean Reef Resorts, which offers a variety of beach rental properties that can accommodate your church group. Many of their rentals are nearby local churches and the beach – so you can get the best of both worlds! Their experienced staff will help ease the planning process so your group can enjoy a spiritual experience with no hassle. Who knows, maybe this will become a meaningful annual tradition for your church group!